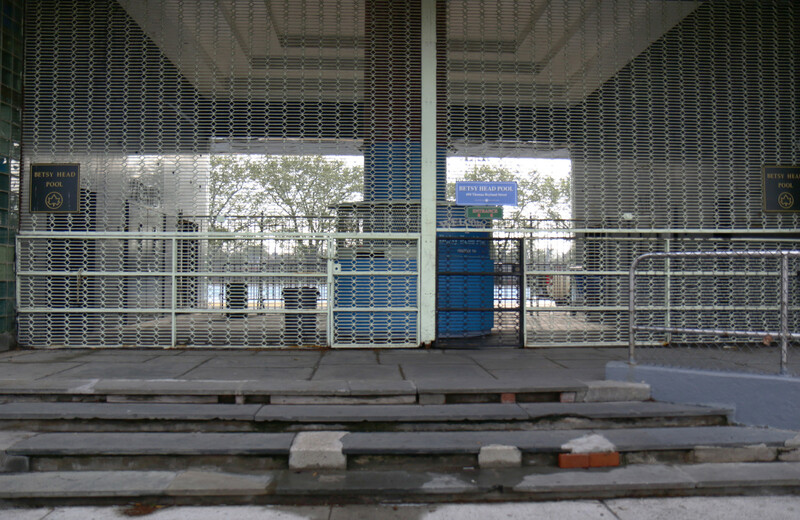 The front entrance and gate of the pool has changed little since its construction in the mid-1930s. 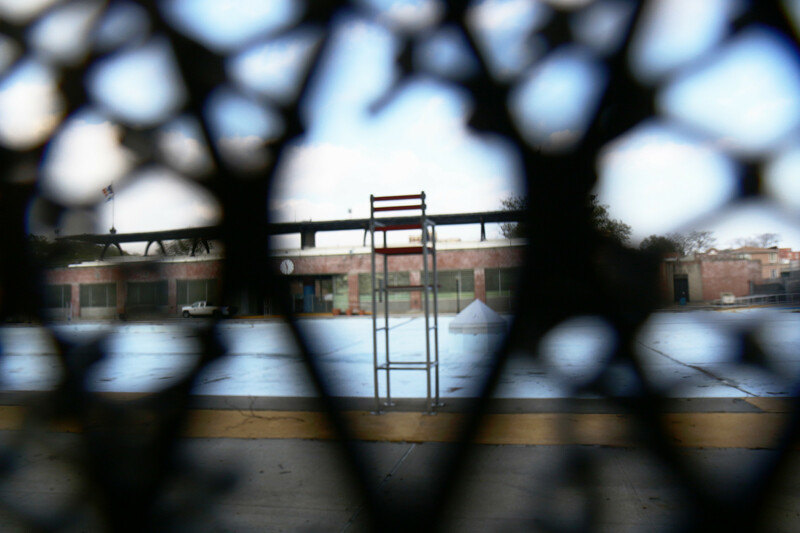 The glass block windows and walls are a distinct feature of the Betsy Head Park Pool and a reason for its landmark designation. Today some are covered in paint or peeling paper. The pool has been a pillar of Brownsville summer life. 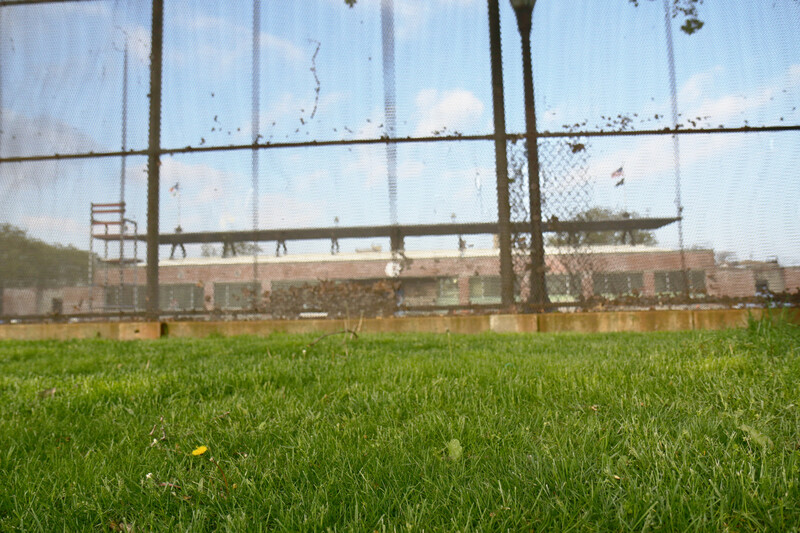 Many families have been coming there for generations. 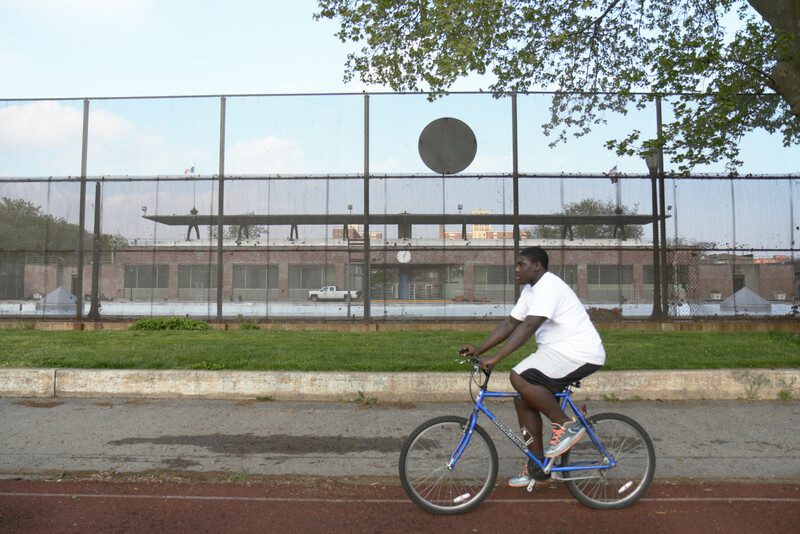 A young man rides his bike around the small track at the park behind the pool. The only other landmark in Brownsville is the Brooklyn Public Library a few blocks away. 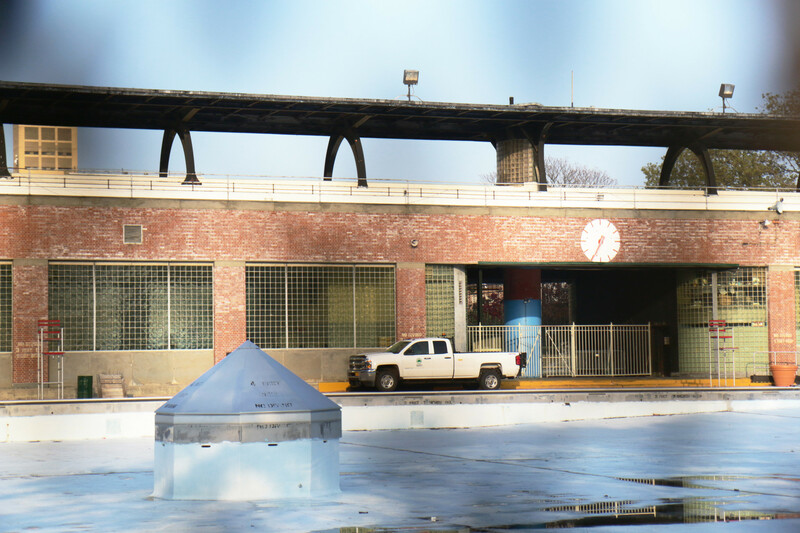 The condition of the pool and bathhouse has fluctuated over the decades in correlation with funding from the Parks Department, but today residents feel that the pool is in good repair. 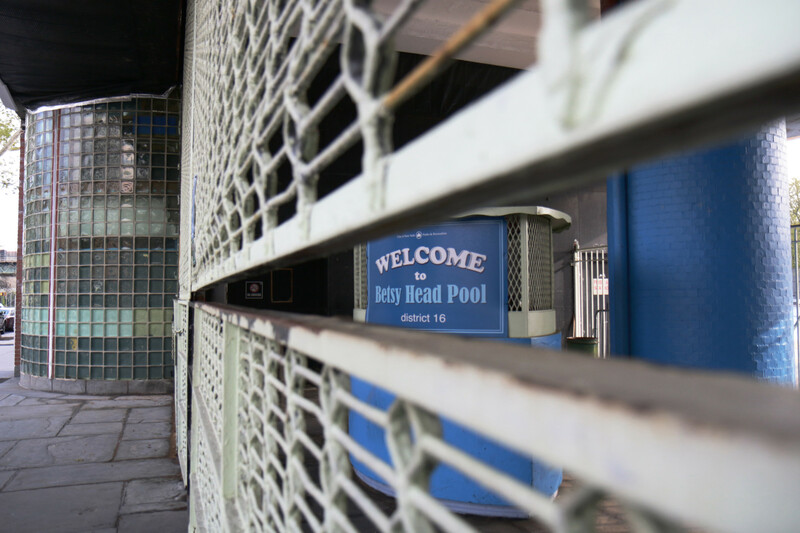 The original Betsy Head Outdoor Pool, built in 1914, was the city’s first recreation facility with an outdoor pool and bathhouse. The current bathhouse was built in 1937 following a fire, and its front entrance and gate have changed little since its construction. 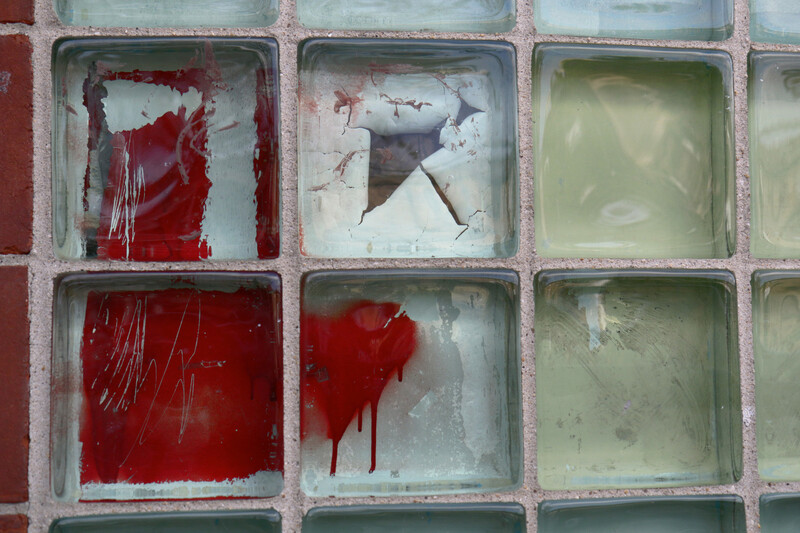 The glass block windows and walls, a distinct feature of the pool, are a reason for its landmark designation. Today some are covered in paint or peeling paper. 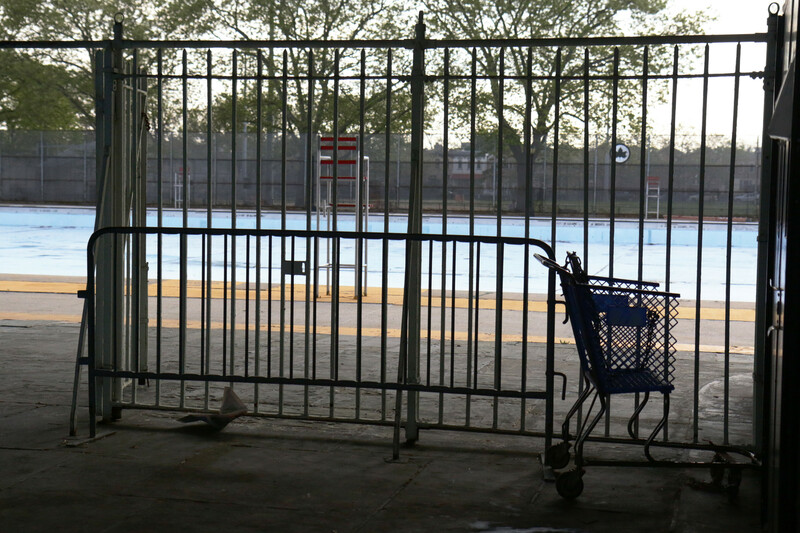 The pool has been a pillar of Brownsville summer life, with many families swimming there for generations. The only other landmark in Brownsville is the Brooklyn Public Library a few blocks away.